TRI ALLIANCE WEEKLY TRANSITION 20th SEPTEMBER 2016, SWIM, BIKE, RUN, READ….. The weekends racing was this time on the flat fast loop of Yarra Boulevard in Richmond for the Sri Chinmoy 10k. Tri-Alliance had Jonney Yeates winning the whole event in a blistering time of 34:22. He is now targeting a fast time in the Melbourne Half Marathon come October. Also racing and both achieving personal bests were Chris Lewis (14th overall and sub 40mins) and Roisin Friel (7th in her age group). Well done all and thanks to those who went up to support on a cool damp Sunday morning. As the summer timetable starts very soon it will be time to return to Elwood with your Thursday evening combo sessions, Saturday bricks and Sunday Runs. If you have previously joined Elwood Life Saving Club it will be time to renew this alongside your parking permit. This will ensure close easy parking and access to hot showers and changing rooms after your open water swims. The guys at Elwood LSC (Rachel & David and colleagues) have long been supporters of our club and the Triathlon community in Bayside with them being race day water support for all Gatorade Races and Challenge Melbourne. By becoming a member you gain access to the club rooms and support the great work they do. Once an associate member you also can apply for a parking permit which enables you to park in the main carpark for free. In addition to this is it covers all foreshore parking from head street in Elwood right up to Port Melbourne (even when not Tri training). The membership form and parking permit can be found by clicking this link. We also plan to have a time post a training session on either a Saturday or thursday at Elwood where you will be able to register and get relevant forms stamped at the Club. A large number of athletes greeted recovery week’s roll down Beach road Saturday with the sun coming out to play – yes the wind did too but we won’t talk about that will we…. Groups did very well and took heed of the briefing from The General in that it was a recovery ride! There were plenty of people looking out for each other and taking turns on the front when the going was a little tough. From chatting with athletes during and after it was very much enjoyed so keep up the good work and controlled considerate riding. We always see some people riding with due care and attention and causing a general nuisance – don’t be one of them! For those new to TT bike riding coach Kat has been running some small grp sessions so if you are interested in learning more and doing one of these please drop us an email or chat to Kat. All rides will be on Beach Road this coming Saturday with various distances based on your program and race goals – all rides should include a section that is either a time trial/solid effort or rolling turns based on your program. This is to start building your for your particular races and understanding your pacing. 6:30am start from Elwood. Do also bring your runners as you should be running off the bike – again to begin that race prep and get used to the feeling when coming out of T2. Swim time trials (500m/1k) will be tomorrow morning, Wednesday 21st at MSAC where we have been required to revert to 2 lanes in the morning (545am indoor pool) and we have one lane in the evening (indoor pool). If you can swim in the evening if you have only just jumped to the morning that would be great and help numbers in the morning. Next week we will be back to 3 lanes in the morning and none in the evening. Apologies for any scheduling issues this cause. UPDATE: Unfortunalety due to personal circumstances Coach Rossco is now unable to Guest coach these next two weeks but we are working with him to get him to run some sessions in the near future. Over the next few weeks we will have a guest coach taking a few sessions mixing things up. Coach Ross of Enduranceteam will be familiar to some who attended the recent Thailand Camp or Lorne back in June. He comes with a wealth of experience and knowledge along with some amazing coaching achievements. Look out for him at sessions and maybe get a different perspective on your training. A multiple 70.3 Age Group Champion and 2 x Hawaiian Ironman competitor. He brings a wealth of top level running and triathlon experience, as well as technical knowledge, to our team. Ross has been mentored through his years coaching by some of the best coaches in the world and has moved forward to develop his own successful coaching style. He has coached athletes to multiple World Championship medals, from Sprint distance to Ironman, as well as coaching Age Group and Overall winners in all distances. He has successfully advanced multiple athletes from Age-Groupers to Elite and Professional athletes. His most recent successes are the two athletes pictured either side of him above (Craig and Jacqui) who were crowned World Champions at the recent IM70.3 Champs in Mooloolabah, being the fastest male and female age groupers! Ross’ coaching philosophy is based upon building athlete relationships and performance orientated training environments, which enable each athlete to progress towards their goals and learn from their experiences. Ross also mentors our up-and-coming coaches in all aspects of High Performance Coaching. We have just re-stocked our Shotz products and now have a full cart available to purchase at our Tri-Shop here. With many important races coming up; now is the time to ensure you are happy with your nutrition and to get used to what your body can tolerate come race day. Darryl at Shotz has been working with the best athletes in the world over the past decade refining and making this one of the best nutrition products out there. Would you benefit from having a TA mentor? Many athletes have already taken this option up over the past few weeks so don’t miss out as we get nearer race season and that additional help and feedback could be so vital. We want to encourage all athletes to link up with a TA mentor to support you through the season and help you to get where you want to go. In addition to personalised coaching, all our coaches are available to be a mentor in your training and racing, at no additional cost to your weekly group membership. 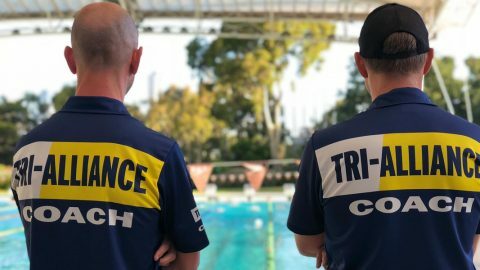 No obligation – as a mentor, they will be happy to chat generally about your program,training/racing and any other questions you may have, as well as take an interest in you during sessions. If you have a specific coach that you have a great rapport with or want a little more input from someone in particular, drop them an email to let them know you would like to be assigned to them. To see who you are currently assigned to, check your ‘profile’ section on your TA Dashboard. Coaches’ ability to take on more athletes is subject to their availability. We have had a number of athletes already take up our personalised spots with Coaches Greg, Kat and Scott so if this is another avenue you want to explore drop them an email. For personalised coaching we have Level 2 coaches Greg and Kat at $77 p/w and Level 1 coach Scott at $55 p/w for a fully detailed personalised programs specific to your needs and requirements with direct access to the coach. This also includes access to all relevant sessions within your training program. With Race 1 of the Gatorade Series less than 3 months away we are busy organising and preparing for our next group of beginners and first timers. As in previous years we are offering those who are first time entrants into the Gatorade or Fun Tri Race 1 and Series a free 6 week training course getting them ready for that race. They can also bring a friend free along to the sessions who may not even yet have entered. Starting on Saturday October 22nd we have 100 spaces available and hope you our members can help spread the word encouraging family and friends to give this great sport we all love a go. CHALLENGE SHEPPARTON – ENTRIES OPEN NOW. Early bird prices are closing this on 31st August with a $30 rise from the 1st September. We have created Facebook groups for both Noosa (OD race on Sunday 30th October) and Ironman WA and Ironman 70.3 WA (Sunday 4th December). We will be communicating through these groups all things race related so if you have entered either of these please request to join up. This will also help you know who else is training for those races and enable crew to train together in preparation. We are also going to be creating Shepparton, Ballarat, Geelong and Challenge Melbourne groups so please let us know what races you are doing and we can hook you up with others doing the same races so you have more buddies to train with. Please ensure you check the calendar regularly to know where and when sessions are as they do sometimes change (this is especially true for swim sessions at MSAC as these can change and are often unfortunately beyond our control). Also check your program or consult a coach so you attend the appropriate session and that you know your distances – remember you are accountable too!. When out riding please do so safely and pay attention to all the road rules and others using the road. Read on for a guide to cycling etiquette and bike road safety and ethics. A gentle reminder that key to enjoying these long rides and getting the most from them is to dress adequately for the conditions and ensure that you fuel and hydrate before and during the ride so energy levels do not drop too much on the last bit. Correct recovery afterwards is also very important.